This is the print version. Published by: In-House Solutions Inc. 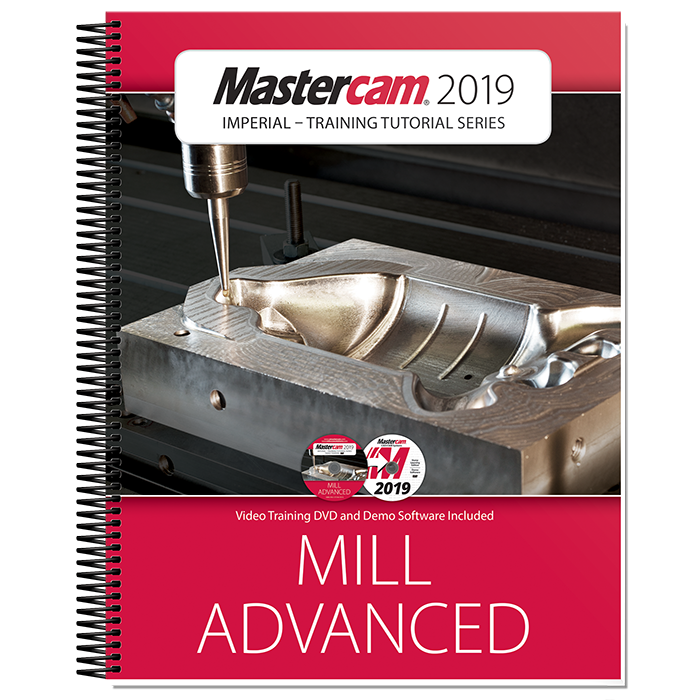 The Mastercam 2019 Mill Advanced Training Tutorial contains projects and accompanying practice exercises that span a wide degree of complexity. It is strongly recommended to have a good understanding of 2D machining (provided in the Mill Essentials Training Tutorial, for example) before beginning this book. All of the parts are designed with machinability in mind and include suggested fixtures and tool setups. Clearly laid out objectives and dimensioned step previews make it easier than ever to follow along. The content covers 3D wireframe, surface geometry creation and solid creation, Surface Finish and Roughing toolpaths. An emphasis is put on the advanced Surface High Speed toolpaths, STL Stock creation and its use in solid model verification. Also covered is how to create and manage Stock models in the Toolpath Manager.